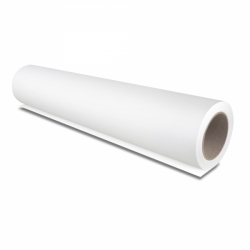 Epson Double Weight Matte is a versatile matte paper, with a thicker weight. It is an economical, heavyweight paper, Doubleweight Matte Paper is the perfect solution for affordable, high quality output from the Epson Stylus Pro series wide-format printers. Applications include promotional pieces, fine art, photographs, professional layouts, courtroom graphics, proofs, displays and posters. A low-cost alternative for high-resolution output, this paper is compatible with both dye and pigment ink. With instant ink drying for added convenience, this paper can also be easily laminated for a glossy-finished look and as a means of protection from excessive light and moisture.